Ok, how cool are these Fringe Scallop Circle Dies?! I really wanted to accent how cool they are so I made a little wreath with contrasting colors and nestled the kraft one down a bit underneath the white. 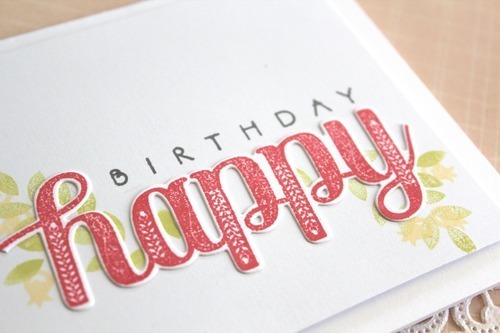 That sweet birdie, the sentiment, and the leaves are all from The Little Things Stamp and Die Sets. Alright people! You know the drill! 😉 Leave a comment on every blog along the hop for your chance to win some Lil Inker goodness! Your next stop is the magnificent Joy Taylor’s Blog! Enjoy!! Helllllooooooooo!!!! 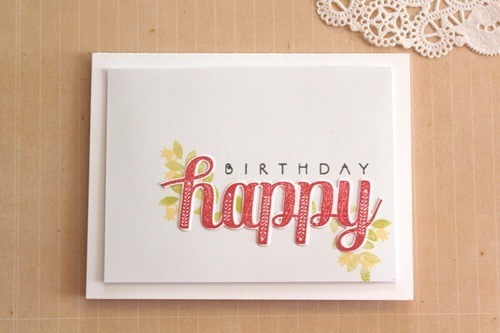 I am just stopping in to share a Lil Inker Lil Birdie Birthday card with you! (see what I did there?!) 😉 I’m hilarious I know… KIDDING! This little bird from the most recent release keeps begging me to use him and I do! He’s just the cutest! I combined the bird from the Hello Beautiful set with the flower from the Sketched Floral set and stuck those babies right on top of the gorgeous Leaf Cover Up die. The sentiment is also from the Sketched Floral set. Easy right?! Give it a try and tag me in your creations! #goldensimplicity And don’t forget to follow me on instagram and Facebook to keep up with my daily creations and fun! I used the Papertrey Ink Rosie Posie stamp set and a few different ink colors to stamp the flowers and leaves around the circle mask making sure to overlap a little to create a very distinct line. Once the circle is removed I added the sentiment on top (Wet Paint die from PTI that I layered multiple times to create a chipboard effect). 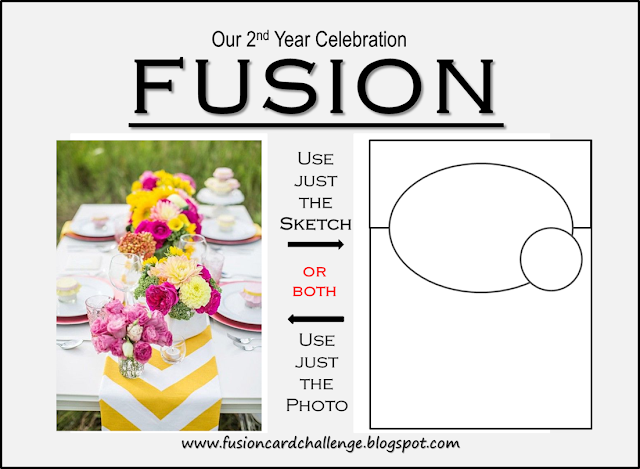 I entered this card into the FUSION Card Challenge using both the sketch and the photo as inspiration. Hello!! 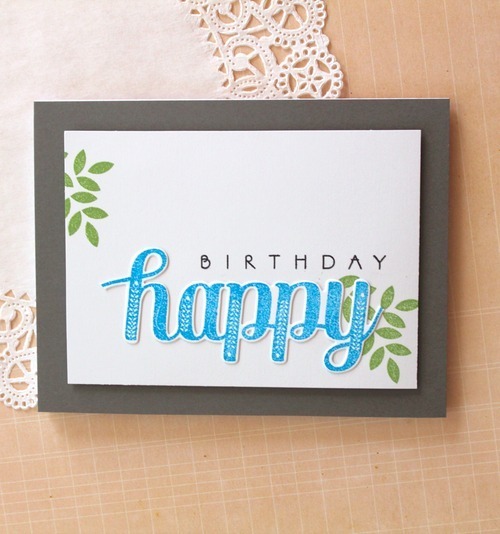 Today I have a couple more cards that I made with the Papertrey Ink Embellished Elegance stamp & die set found here. Again, I made a masculine and a feminine version of each card and kept them quite simple. To see more cards I made with this set, check out these posts here, here, and here. 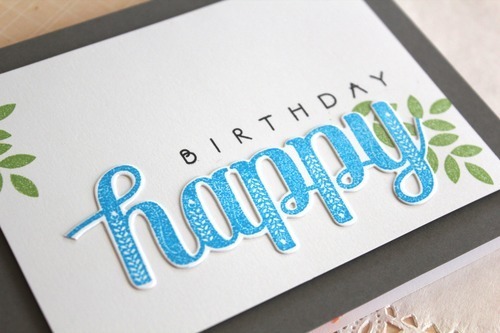 For the masculine one, I used gray cardstock as a backdrop and stuck to green and blue for my colors. The green ink is New Leaf from PTI, the blue is Memento Bahama Blue, and the black is from Hero Arts. For the feminine version, I stuck with a white backdrop. The black ink is from Hero Arts, and the rest of the inks are from PTI: Berry Sorbet, Lemon Tart, and Limeaid Ice. This set is definitely one I will continue to be digging into. There are so many possibilities with it and I have barely even scratched the surface. Haha… thanks for stopping by!